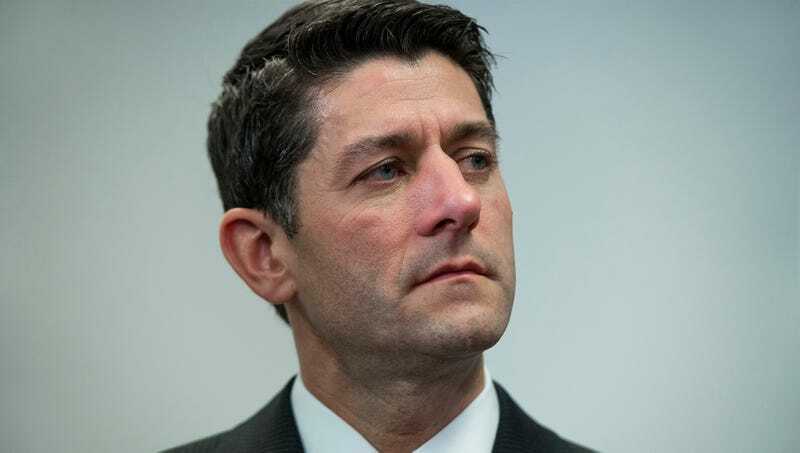 WASHINGTON—In an effort to avoid a potentially disrespectful or insensitive response, House Speaker Paul Ryan reportedly quickly ran a tweet about the Texas mass shooting past Wayne LaPierre before posting the message, sources confirmed Monday. “Wayne, I understand that this is a delicate situation so I wanted to check to make absolutely sure you’re on board with this response before I send it out,” wrote Ryan, who pasted the 16-word draft urging Americans to send prayers to the people of Texas into an email for the NRA executive vice president to peruse and approve. “Obviously, I’d never want to write anything that might offend you or the National Rifle Association. If you don’t like the sentiment or there’s a different wording you’d prefer, just let me know and I can change it without delay. Also happy to provide a few options for you to select from if that would work better. Just let me know when you get a second.” After receiving LaPierre’s consent to post the tweet, Ryan reportedly assured the gun rights advocate that this would be his last public statement on the shooting.